There are numerous short or longer walks from Rosemerryn, both along the coast path and inland towards St Buryan and Sancreed. East along the coast path, the pretty harbour of Mousehole is about an hour and a half's walk, and Penzance about two and a half hours, while the spectacular beaches at Porthcurno and the Minack theatre are about three and a half hours walk. Further west still, Lands End is five hours walk. The Boleigh fogou, at Rosemerryn itself, is a good place to start, but the whole are is rich in ancient history. The Merry Maidens, said to be nineteen maidens turned to stone for dancing on the Sabbath, stand in a field a few hundred yards along the road. Two taller, solitary stones in the next field, are said to be the pipers who played for them, turned to stone as they tried to flee their punishment. Another fogou can be found amongst the remains of an iron-age settlement at Carn Euny, where there is also a remarkable, circular underground chamber. Chysauster is another Iron Age settlement, originally occupied almost 2000 years ago, where the foundations and some of the stone walls of the courtyard houses are still visible. 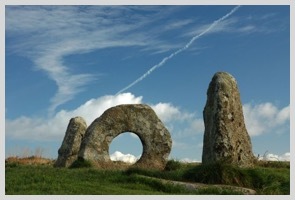 Chun Quoit, Boscawen Circle, Lanyon Quoit and Men An Tol are just a few of the many others. Penlee Museum and Art Gallery and The Exchange can be found in nearby Penzance, and Newlyn Art Gallery in the fishing village of Newlyn just a mile west of Penzance. Penlee houses an extensive collection of paintings from the Newly School, as well as changing exhibitions.The Exchange, along with the Newlyn Art Gallery both have a full programme of exhibitions. On the other side of the peninsula, in St Ives, you will find the Tate St Ives, sister gallery to the Tate Modern and Tate Britain in London and the Tate in Liverpool. A ticket to the Tate St Ives will also give you entrance to the Barbara Hepworth Garden and Museum where you can appreciate her works in the magical setting of her own private garden. Both Penzance and St Ives, as well as Newlyn, St Just and Marazion, harbour a wealth of smaller commercial galleries and interesting independent shops. 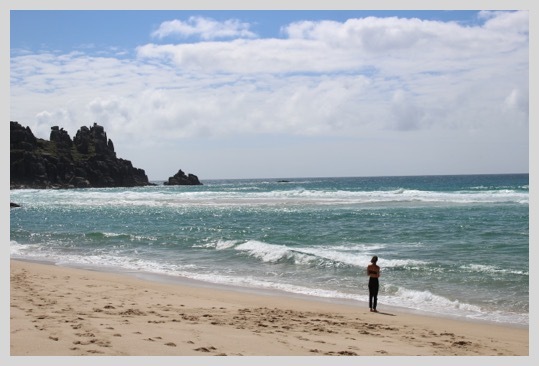 There are number of beautiful sandy beaches just a few minutes drive away from Rosemerryn, including Porthcurno, Pedne Vounder and Porthchapel, as well as the surfing beach at Sennen Cove. A picturesque little harbour, aptly named Mousehole, is a short drive or lovely coastal walk away; or you can follow the stream through Rosemerryn Wood and down beside the single track Cove road to the even smaller and quieter harbour beach at Lamorna Cove. The medieval monastery of St Michael's Mount dominates the bay at Penzance. A thriving port for the tin trade 2000 years ago, it became a destination for pilgrims in medieval times, and today walkers can still follow 'St Michael's Way', marked with the pilgrims' scallop shell, from St Ives to the Mount. Further west, Geevor Mine near Pendeen, gives a taste of what life was like for the tin miners of yesteryear. At Porthcurno, the Telegraph Museum will lead you through secret WW2 tunnels to show you what was the communications hub of the British Empire. 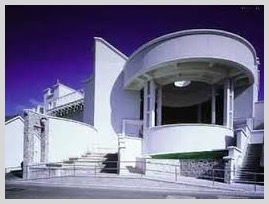 The Acorn theatre in Penzance has a full programme of events: plays, music, dance and comedy nights. 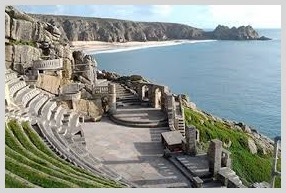 The Minack theatre, a beautiful open air theatre built into the cliffs at Porthcurno, has a continual summer programme which welcomes a huge variety of travelling theatre companies. A small open air theatre in Penlee Park also hosts a variety of travelling theatre companies through the summer.